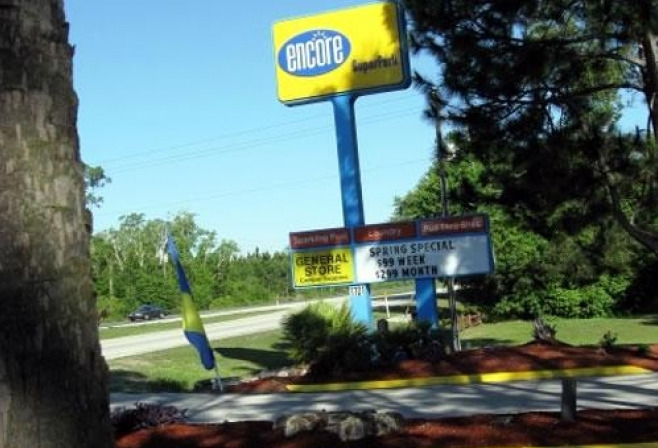 Just minutes away from the famed Daytona Speedway you'll find our exquisite Encore Sunshine Holiday Daytona RV Resort. 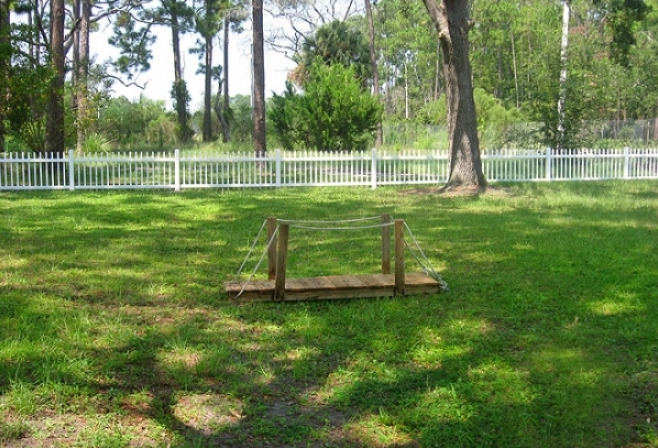 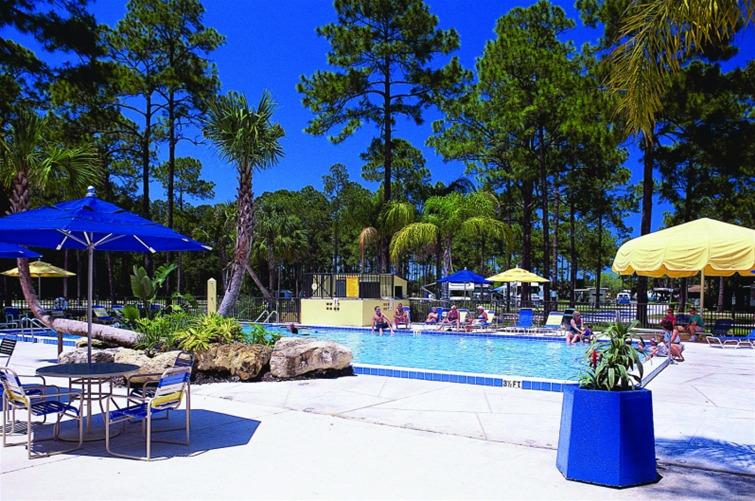 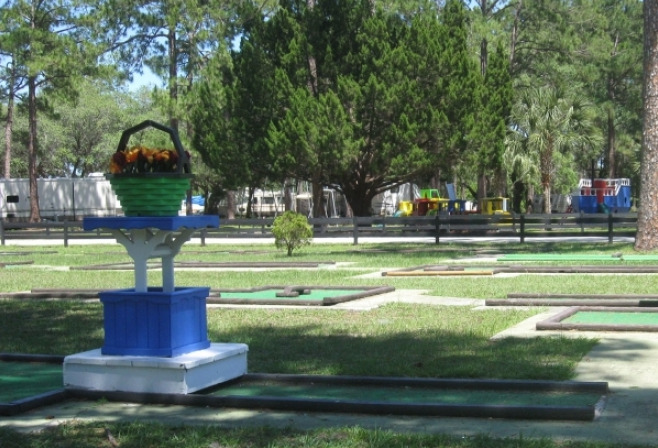 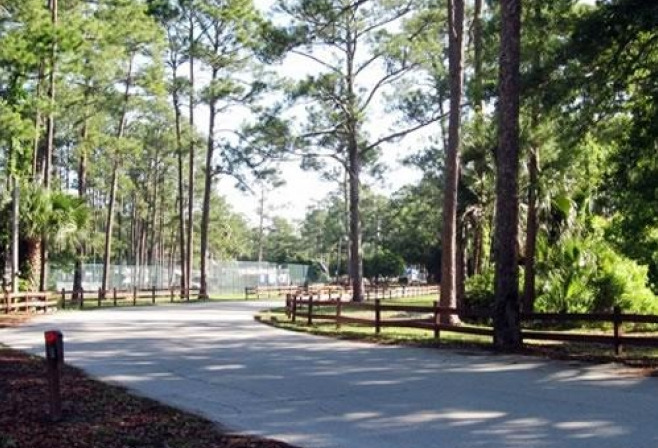 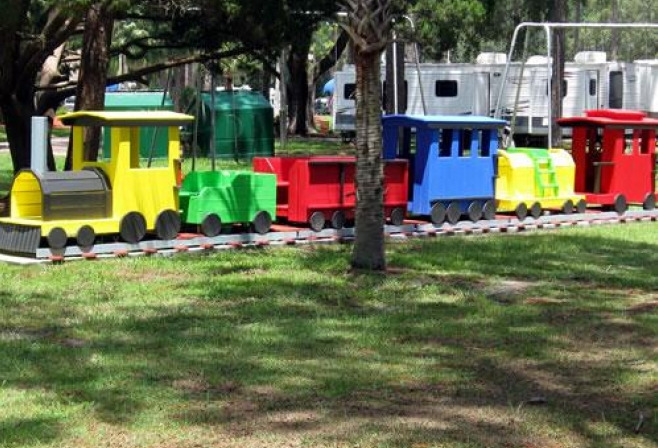 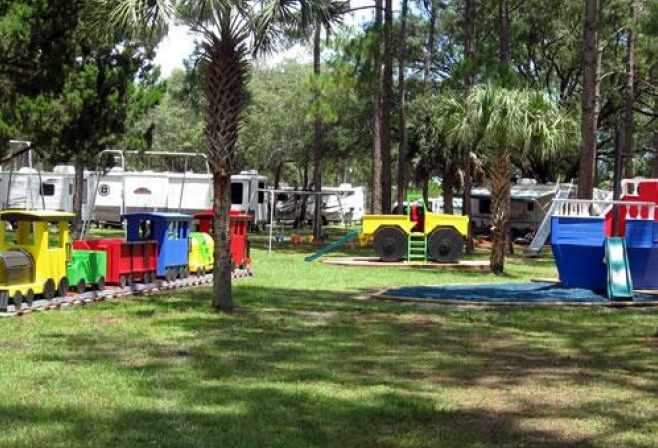 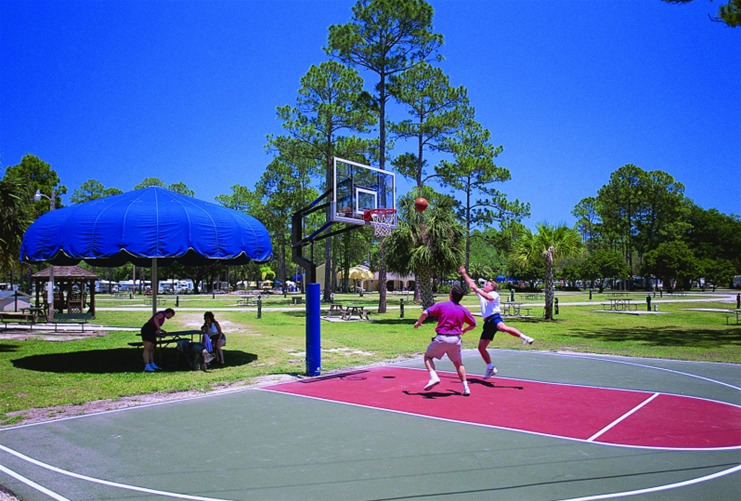 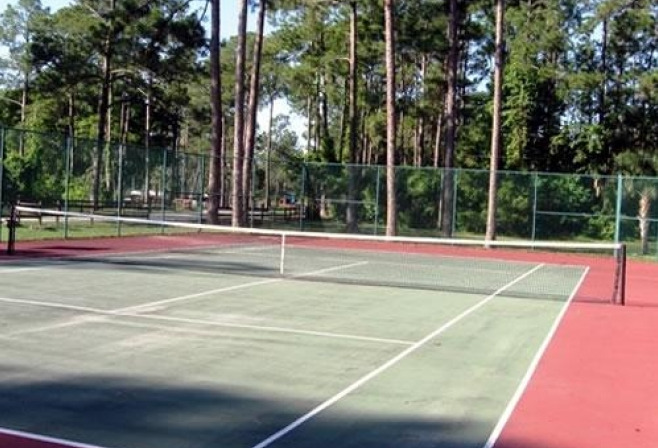 This gorgeous community and RV park in Daytona Beach is the perfect retreat for relaxation, activities and friendship. 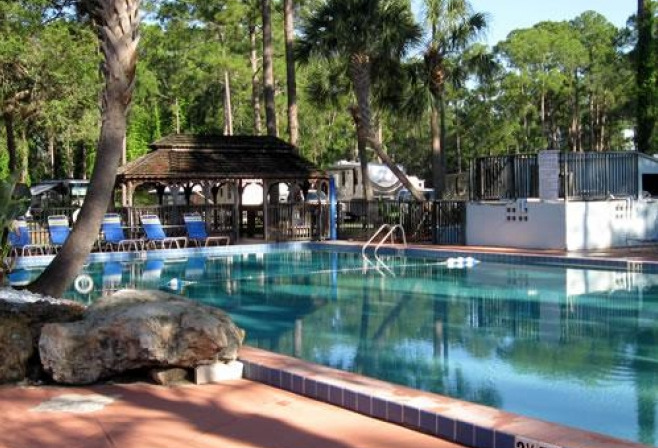 Take in fantastic beaches and nearby historic St. Augustine. 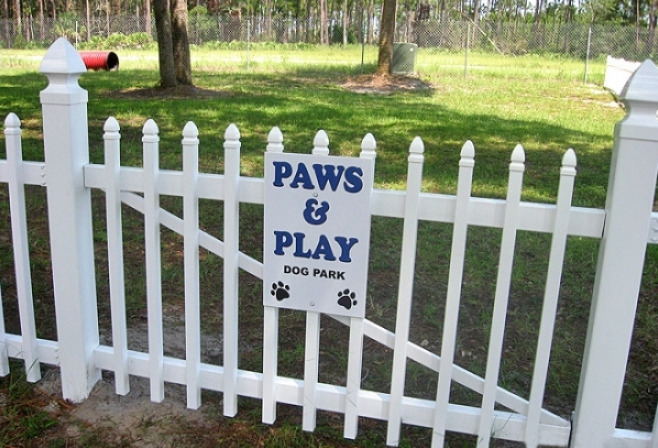 Enjoy a race at Daytona Speedway or switch venues and watch the dogs run at the Daytona Beach Kennel Club. 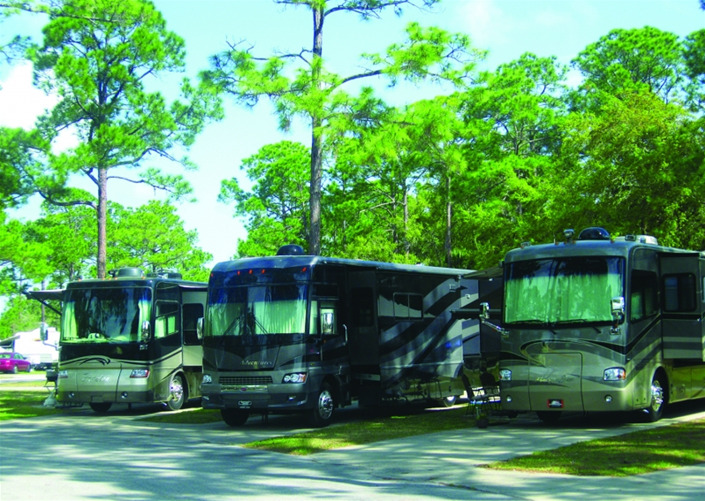 Daytona North has it all! 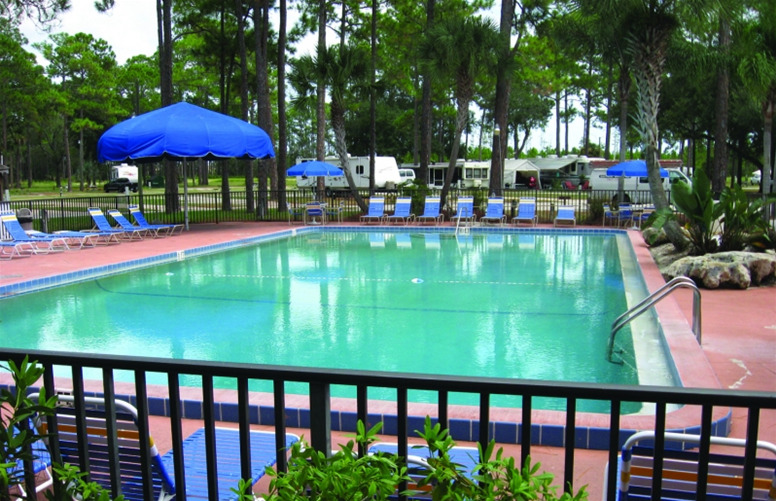 Sunshine Holiday Daytona RV Resort's warm and friendly staff awaits your arrival. 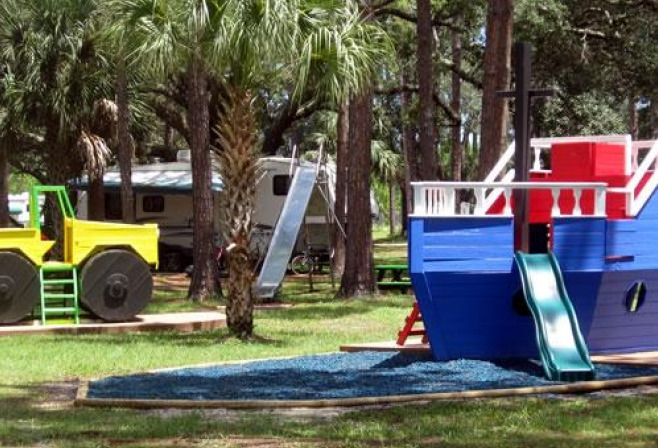 We will ensure your Florida vacation at an RV park in Daytona Beach is relaxing, enjoyable and brings lasting happy memories! 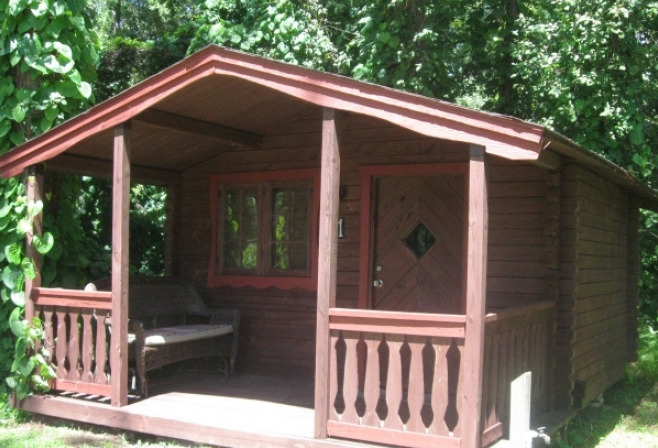 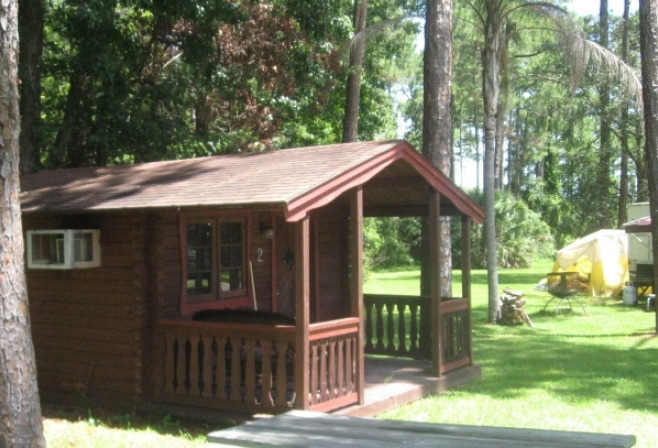 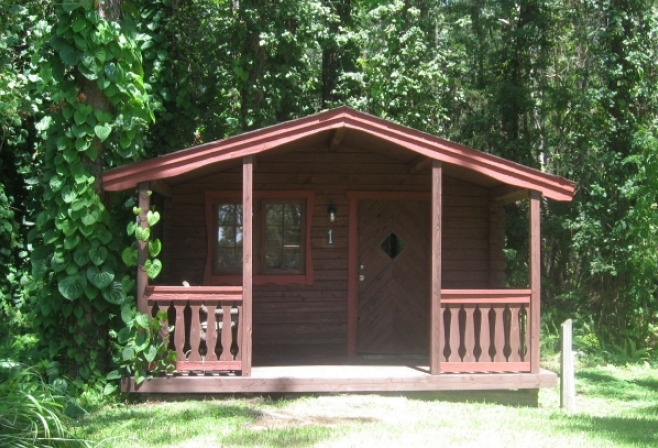 Enjoy the large shady sites or one of our rustic cabins. 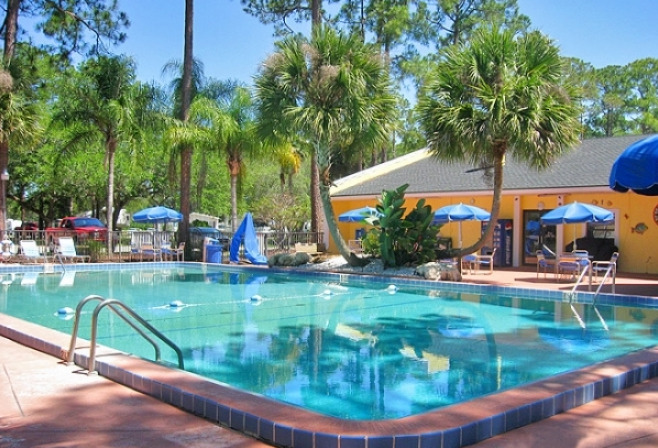 Just 35 miles from Daytona Beach, 50 miles from Orlando and 35 miles from Ocala. 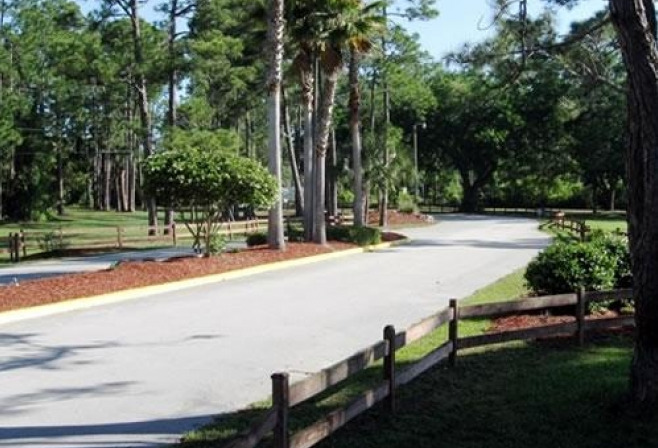 200 yards from the St. Johns River, "Bass Capital of the World". 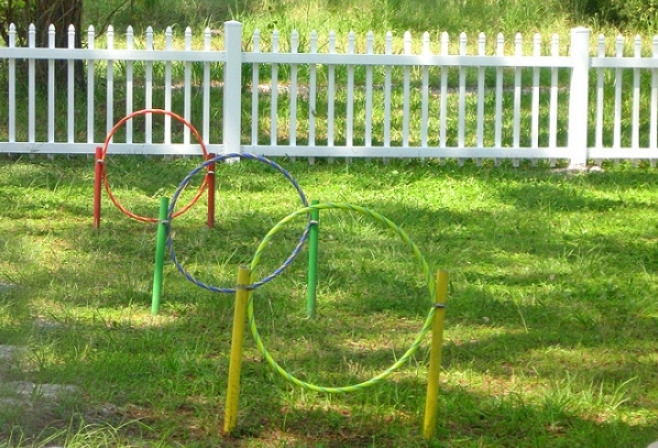 Recreation for all. 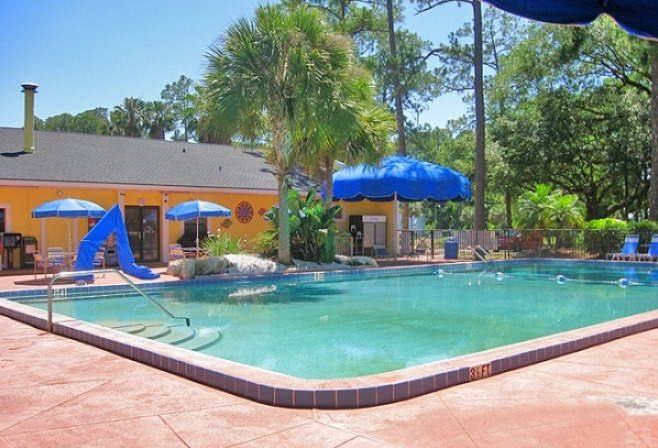 Laundromat on-site.